With summer in full swing in Durango and temperatures sweltering, a cold blueberry smoothie hits the spot for a mid-day snack or light meal option. A smoothie is fast food at it’s finest. An easy way to sneak in a serving of veggies, grab a serving of healthy fat, even add a high protein kick. 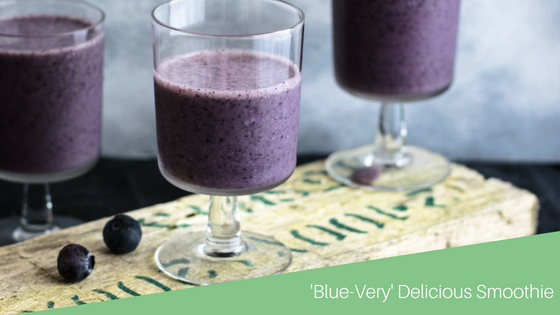 Let me know what you think of this ‘Blue-Very’ Delicious smoothie! Blend well in high-speed blender. Remember, food is one of the greatest pleasures of life — enjoy this delight mindfully!